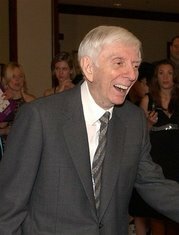 The genius producer Aaron Spelling passed away this evening at the age of 83 at his home in California. He was the man behind "Beverly Hills 90210" and "Melrose Place" as well as many, many other great shows. It is hard to imagine a world without Kelly and Dylan, Amanda and Billy, Donna Martin and David Silver....and we're so grateful we never have to.